ACT work safety authorities will be conducting an investigation into the exposure of the two electricians to toxic chemicals in a Civic office building. Unions have stated that they are extremely concerned with the incident and are fearful that other older buildings may be contaminated. Both workers were hospitalised after being sprayed with polychlorinated biphenyls, or PCBS, a toxic chemical that can cause skin rashes in the best of circumstances, and damage to the liver and nervous system, in the most extreme cases. The workers were exposed to the fluid whyen a light fixture they were replacing exploded in the computer room. Both electricians were taken to Canberra Hospital to undergo monitoring. The Electrical Trade Union stated that PCBs had not been used in light fittings for decades. Thus, the union is deeply concerned by the incident. The Unions NSW-ACT assistant secretary Nevile Betts demanded that the owner of the building search the light fittings throughout the rest of the 11-storey building. The liquid should have been removed during campaigns to remove PCBS from buildings in the 1980s and 1990s, according to Betts. Betts has also pledged that they will be contacted the owners of the building to launch a thorough audit of the lights and equipment of the building. 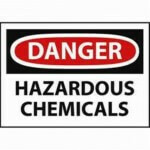 If any PCBs or any Hazardous Materials and Substances, are found they will be removed using the proper procedures. Approximately 60 workers were evacuated from the eight floor, and were prohibited from returning the next day.